Imagine seeing a side of Maui that only a lucky few get the chance to see. This is adventure snorkeling at its best! 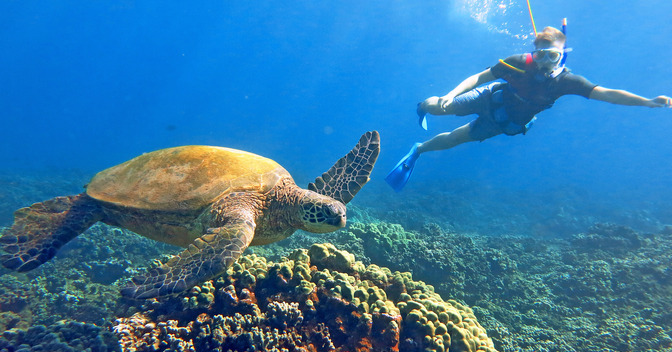 The Maui Magic has access to some of the most amazing reefs that teem with an array of tropical fish. 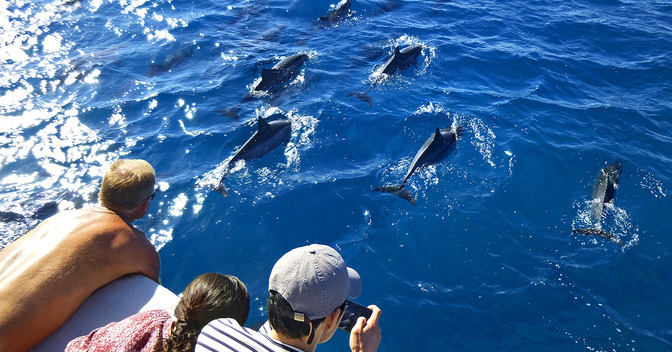 Plus, we visit spots where you can see and snorkel with Hawaiian Green Sea Turtles and our DOLPHIN DISCOVERY offers the chance to look for pods of wild dolphins. 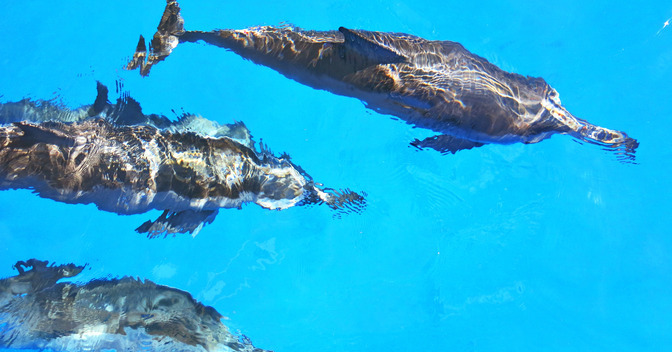 Perhaps, on the day you join us, we’ll encounter Pacific Bottlenose Dolphins riding the bow, or Spinner Dolphins showing-off their acrobatic skills as they leap out of the water. 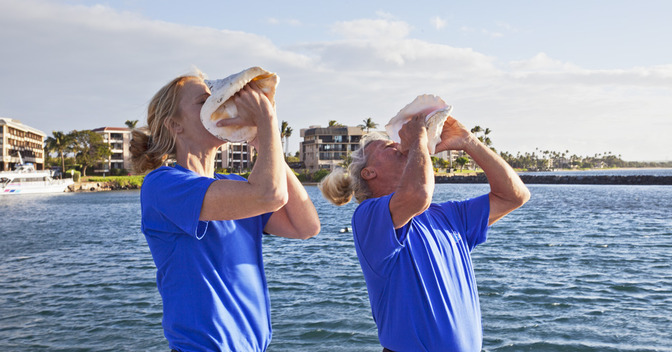 Our crew begins each journey by blowing the conch shell, as the ancient Hawaiians always did before setting sail. Then the Maui Magic revs-up her engines to cruise along the famed SOUTH MAUI COAST as the sun climbs over the top of Maui's 10,000 foot dormant Haleakala Volcano. 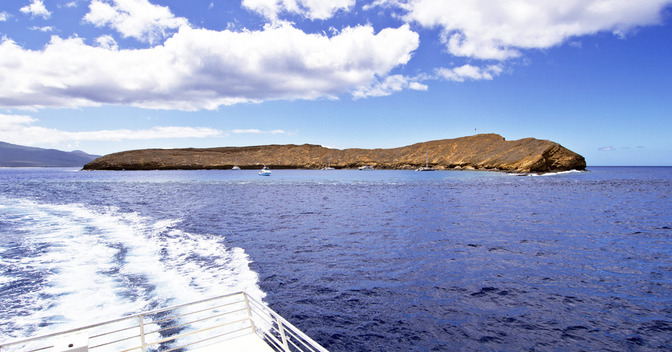 Your first snorkel spot is usually the world-famous crescent shaped MOLOKINI CRATER with its crystal clear water – rated as one of the world’s top 10 dive sites. 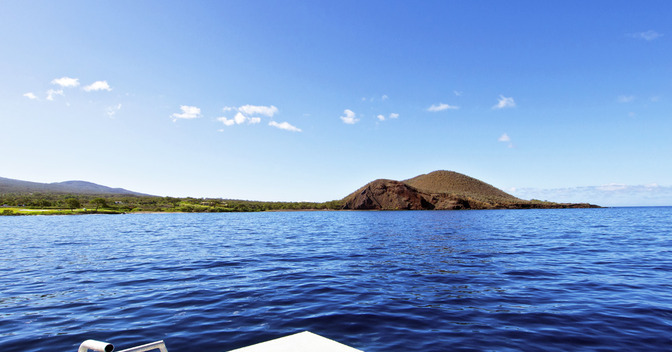 Here you can snorkel, or SNUBA, and enjoy the fantastic underwater visibility and see why everyone talks about Molokini and why visiting this protected marine preserve is included on most "snorkeling bucket lists". Depending on which way the wind blows (literally), and ocean conditions, your Captain selects the BEST SNORKEL SPOT OF THE DAY as your second destination. 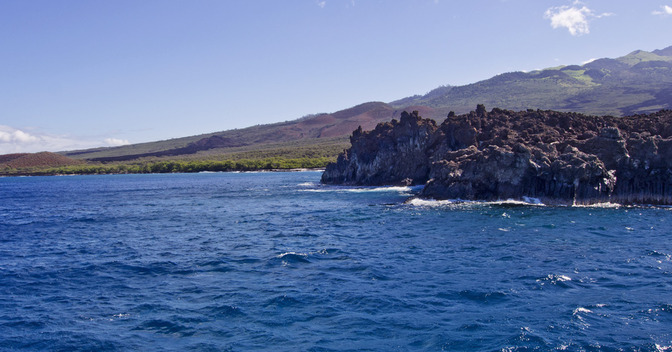 This can include Olowalu, Coral Gardens, Turtle Arches, Pu‘u Olai (also known as "Red Hill"), La Perouse Bay (where Maui's last lava flow occurred), the Makena Coast (sometimes referred to as "The Forbidden Coast"), or even our "Secret Spot". All our captains have been with us for many years and typically can tell where the optimum conditions are. 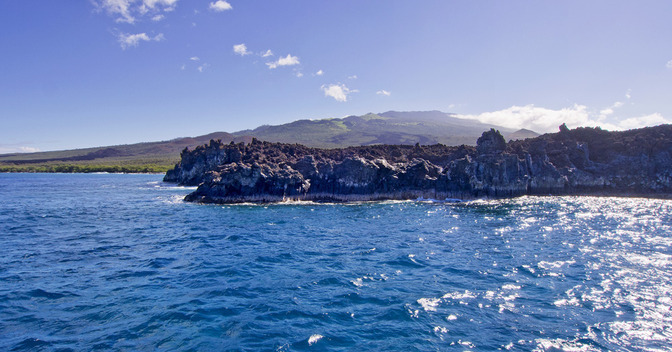 While other tours stick to a fairly "set routine", we are flexible, with Maui's daily prevailing weather conditions, and access the best locations for that day. On the Maui Magic... EVERY TRIP IS A NEW ADVENTURE! 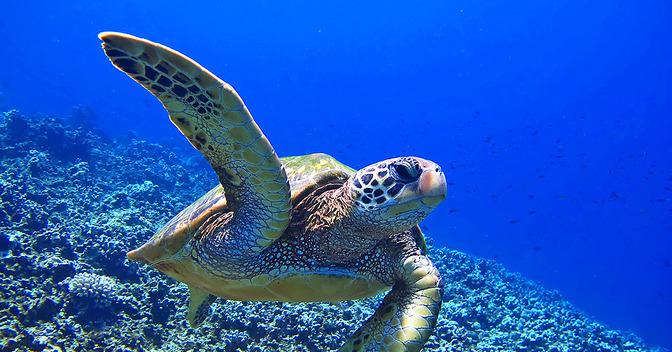 Safe and comfortable, Maui Magic offers the ADVENTURES and THRILLS of an OCEAN RAFTING TRIP, but with all the CREATURE COMFORTS and AMENITIES that rafts can not offer. Fun and Interesting Maui Historic/Cultural Information. SAFETY FIRST: Your safety is important to us! Our crew are Red Cross certified and excellent swimmers. While snorkeling, we ensure there's ample crew to assist you. Our SNUBA instructors are also certified scuba divers. WHALE WATCHING: From late December thru mid April, this trip additionally features outstanding humpback whale watching action! 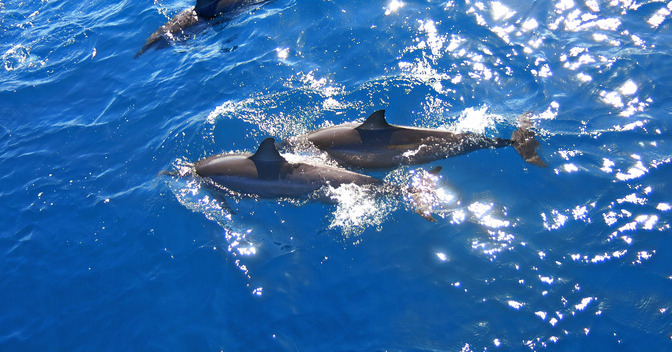 Snorkel spots are chosen at our captain's discretion. 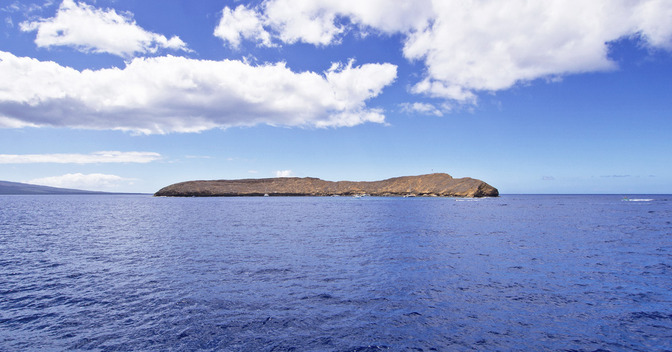 Weather permitting, we always try to reach Molokini. 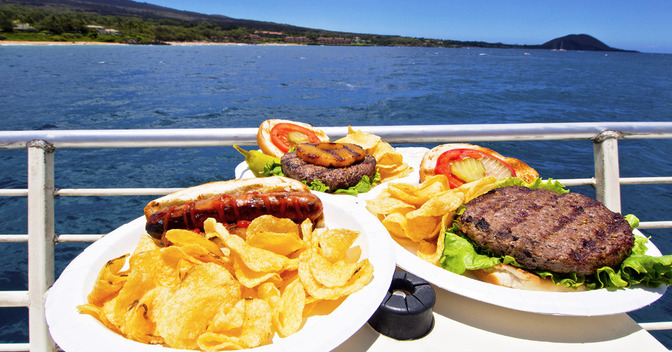 These items are not included as standard trip features, but are well-worth adding them to your Maui Magic snorkel trip. The most popular add-on is our SNUBA experience. SNUBA is similar to SCUBA, but does not require wearing tanks, or heavy gear. It also does not require any certification. SNUBA is really easy, extremely safe and loads of fun. Even kids can do it! (More about SNUBA) We also have underwater cameras for purchase too. Coffee, Tea, Hot Chocolate, Juice (Passion Orange Guava or POG as it is called), a tasty assortment of Freshly Baked Muffins plus a fabulous Fruit Platter. Healthy Assortment of Raw Carrots, Celery, Broccoli Florets served with a Ranch Dip. Gotta keep your strength up for all that snorkeling! 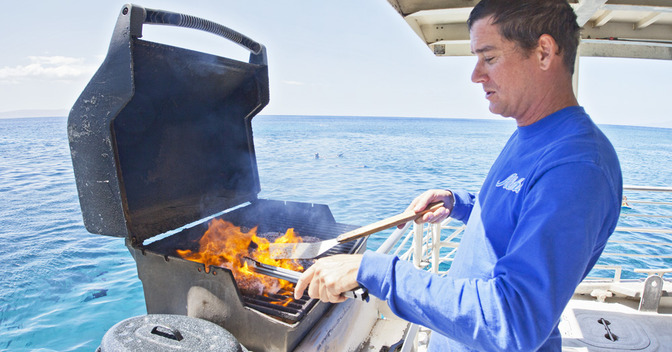 Cooked over charcoals – right onboard! 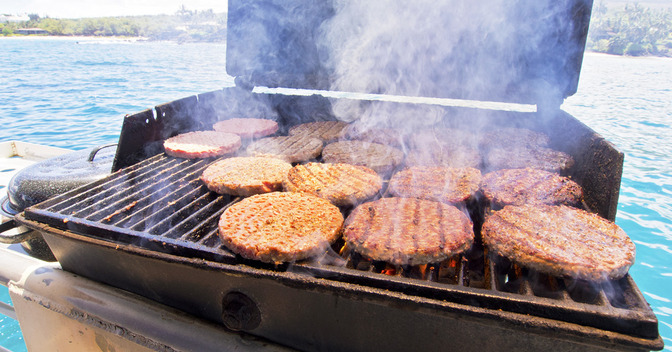 Your choice of Hamburgers, Cheese Burgers, or Veggie Burgers served with a Sesame Seed Bun and all the trimmings (grilled pineapple slices, cheese, tomato, onion, lettuce), or choose the All American Favorite, Hot Dogs! 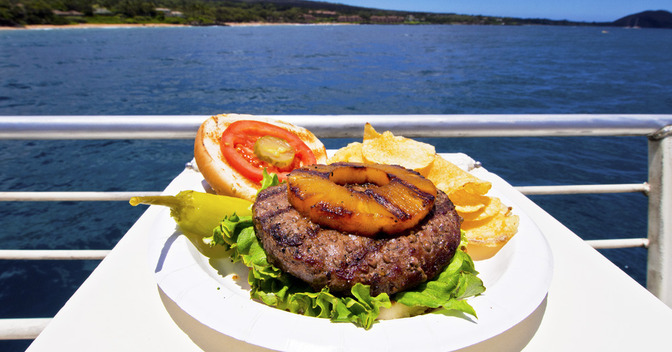 Add some Maui Potato Chips and you’ve got it made in the shade! Make sure to save some room for COOKIES! Wet your whistle with a selection of Sodas (Coke, Diet Coke, Sprite), POG (Passion, Orange, Guava Blend), Filtered Water, Ice Tea, Beer or Chardonnay. Pack for your snorkel excursion like you would for a day at the beach. Beach Bag or Water-Friendly bag to keep your goodies dry. Non-Aerosol Sunscreen (over-spray from aerosol makes boat decks slippery). Hats or Sun Visors (there is not a lot of shade on the Maui Magic). Camera (make sure you've got lots of storage on your media card). Perhaps Some Extra Cash (should you want to rent a wetsuit or purchase an underwater camera, a souvenir t-shirt or if you feel like tipping your crew). We provide sanitized, quality snorkel gear and flotation devices free of charge. But you are welcome to bring your own gear if you feel more comfortable with it. For directions to the harbor... (click here). Once we welcome you onboard, we treat you like our ohana (family). 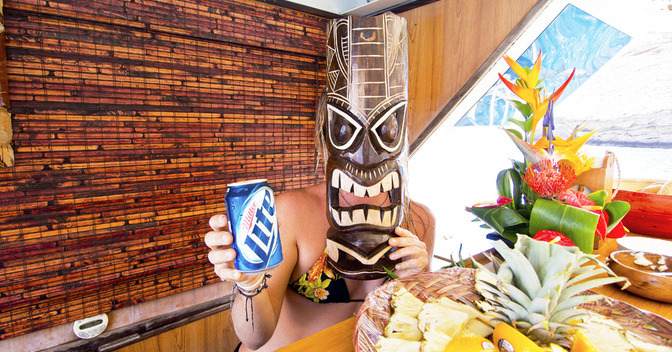 The Maui Magic is all about service and personal attention. Unlike boats that take over 100 passengers, the Magic only takes an average of 27 people per day. 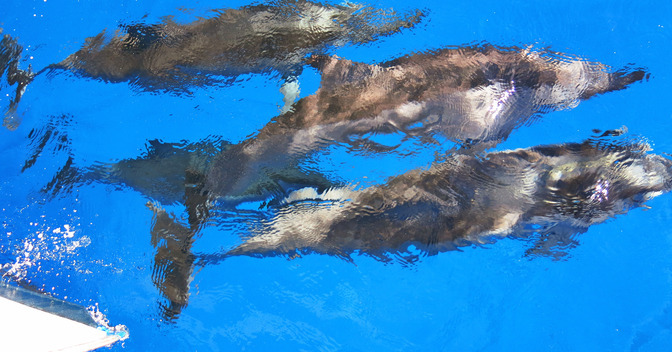 This means we are able to provide you, and everyone in your party, with more INDIVIDUALIZED ATTENTION – both in and out of the water. 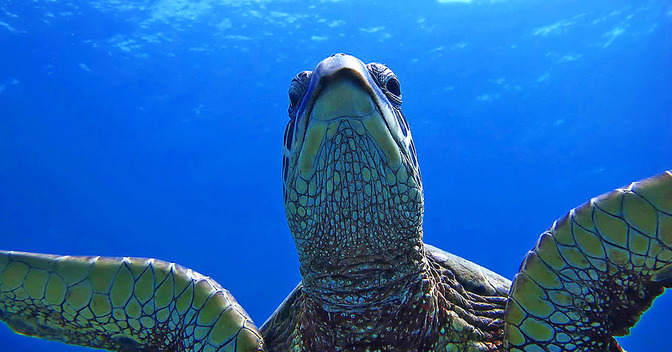 And when it comes to first-time snorkelers, this personal attention makes a huge difference! 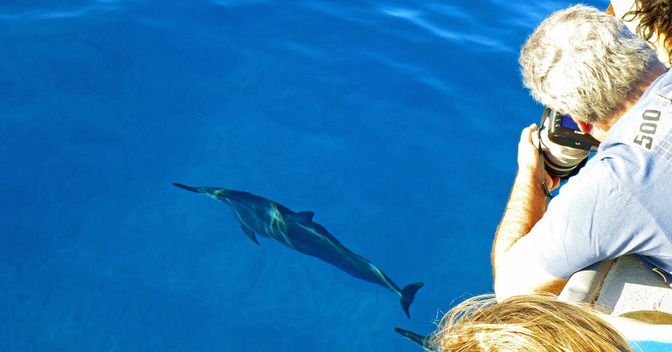 We pride ourselves on our success of getting some of our more “timid” passengers into the water and snorkeling like pros. This is also why we are the perfect boat for ALL LEVELS OF SNORKELERS! Year-after-year many of our ohana return to join us again for a MAGICAL ADVENTURE SNORKEL. Some folks have even done the trip multiple times in one vacation, which is a testament to the quality and unique experience that we consistently provide. 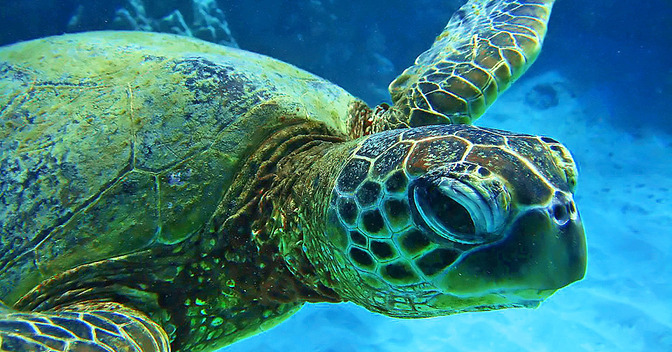 This is a snorkel trip decidedly-designed for thrill-seekers and adventurers. 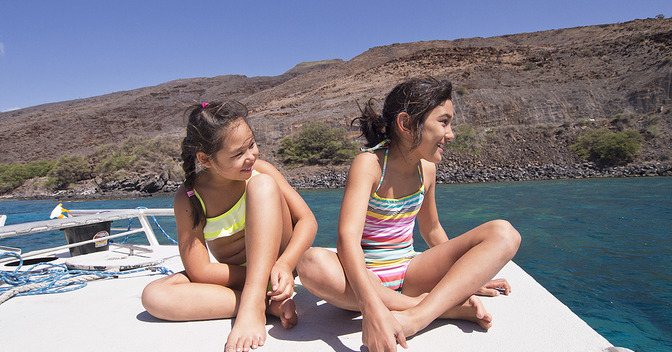 We don’t encourage children under age 5 and, if you happen to be sun-sensitive, there isn’t a lot of shade onboard. 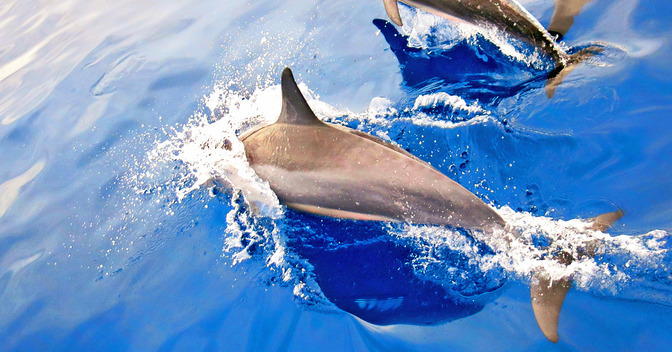 True to any ocean adventure, you have to be game to get a little wet (and you usually will). 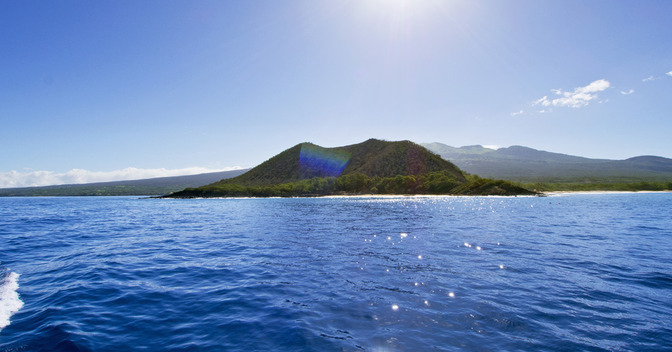 So, if you're ready for adventure and want to explore the hidden-side of Maui that only a lucky few will ever see – THE MAUI MAGIC IS THE BOAT FOR YOU!